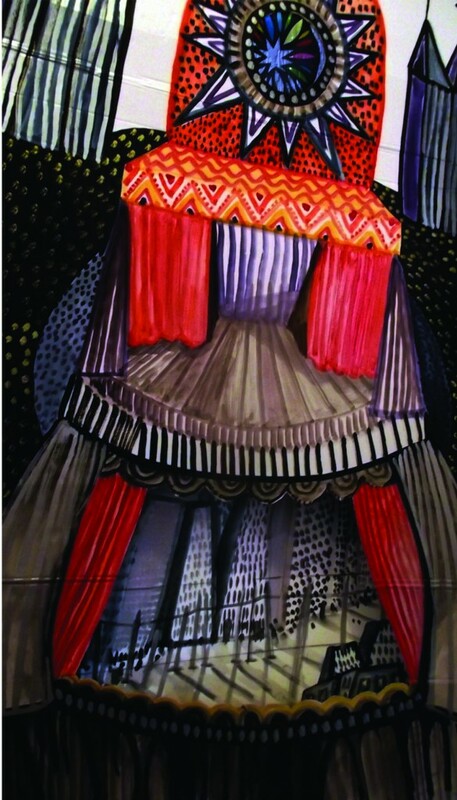 Inspired by Peter Carey’s haunting Collected Stories, Amelia and I set out to explore through puppetry, in a Krakow inpsired puppet theatre, his dark tellings of a world out of time, beyond now in the tradition of folk. 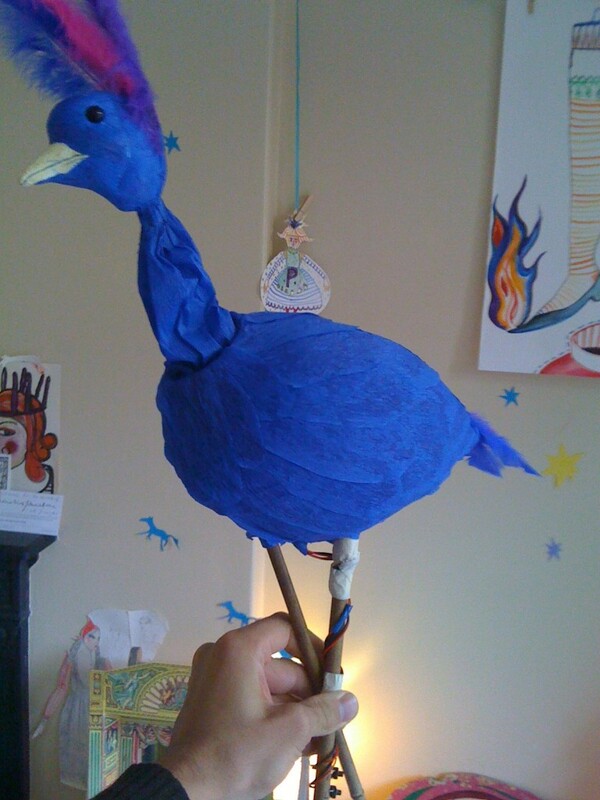 We used a broad range of media and aproaches to puppetry; combining making, illustration & digital audio techniques to create a mysterious storytelling event that would enchant and terrify. 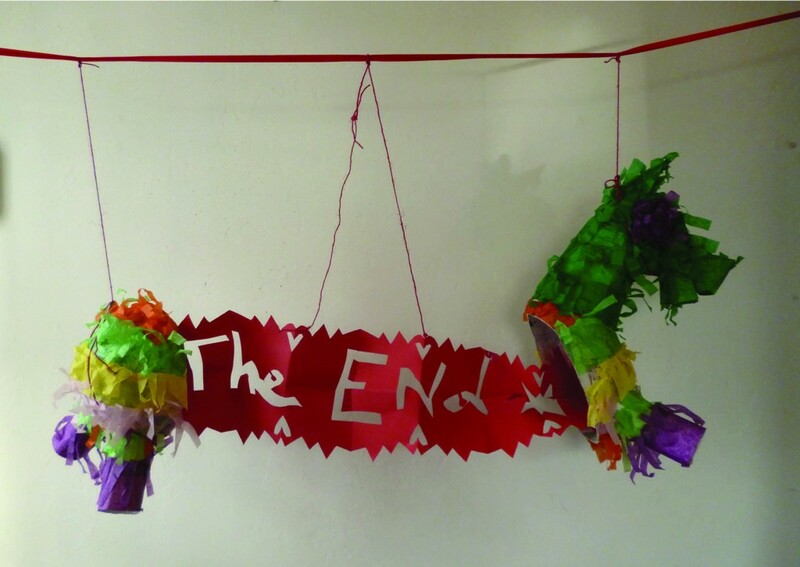 We held an ‘open studio’ providing an opportunity for visitors to witness the creation of the dark and magical world. 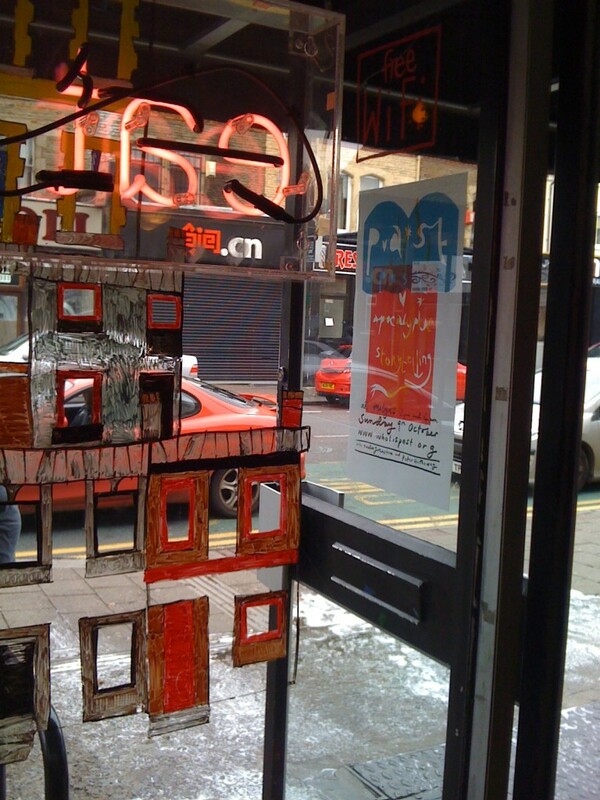 Two full-capacity performances of P*A*St were held at ‘Milgi’ art bar in Cardiff as part of the Cardiff Design Festival programme of events. 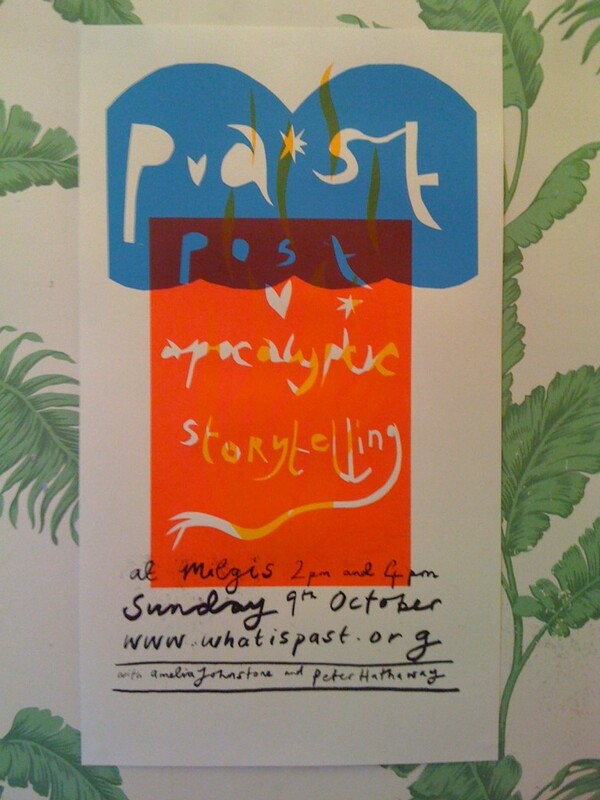 P*A*St is being entered into ‘The European Storytelling Archive’ held at Cambridge School of Art. 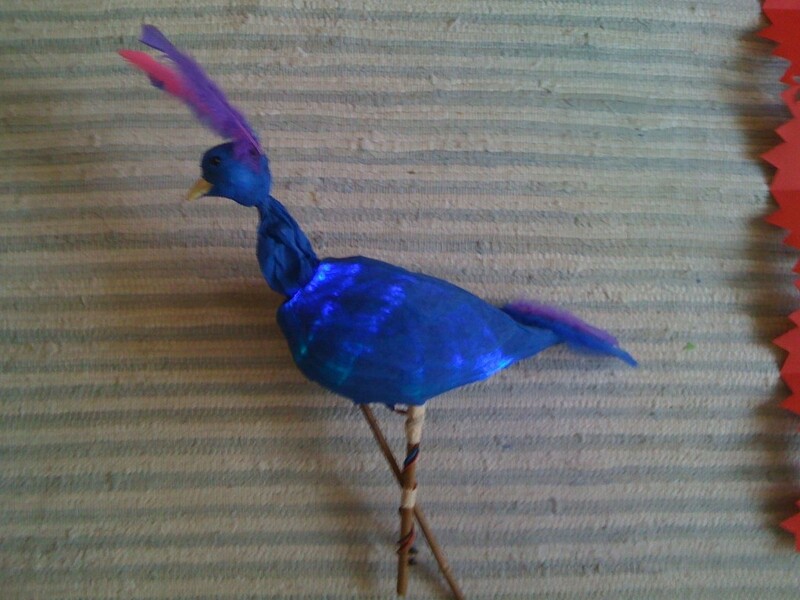 P*A*St was also presented as part-paper/part-performance at the ‘Illustration and Writing’ symposium at Manchester Metropolitan University 2011. 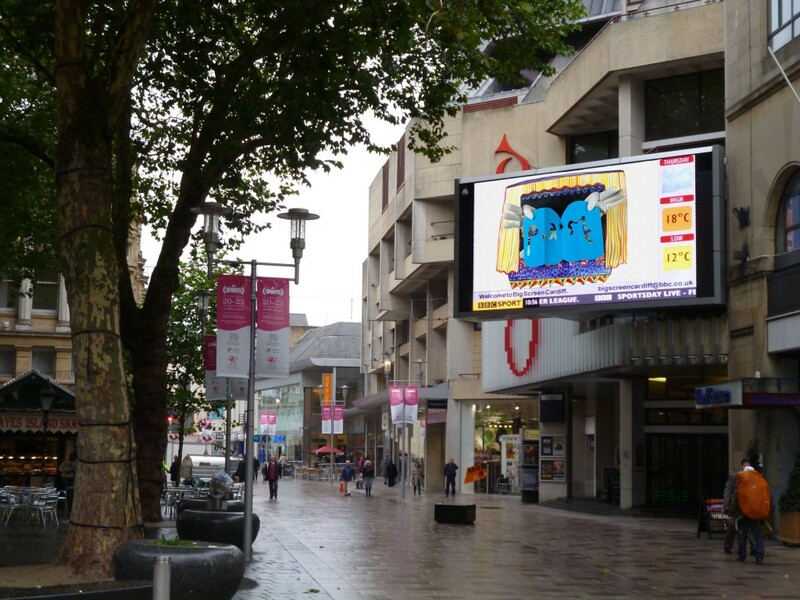 (Above) P*A*St promotional video on “The Big Screen”, Hayes, Cardiff. (Above) P*A*St was performed with a pre-mixed soundtrack featuring music, sound effects and twisted voices. 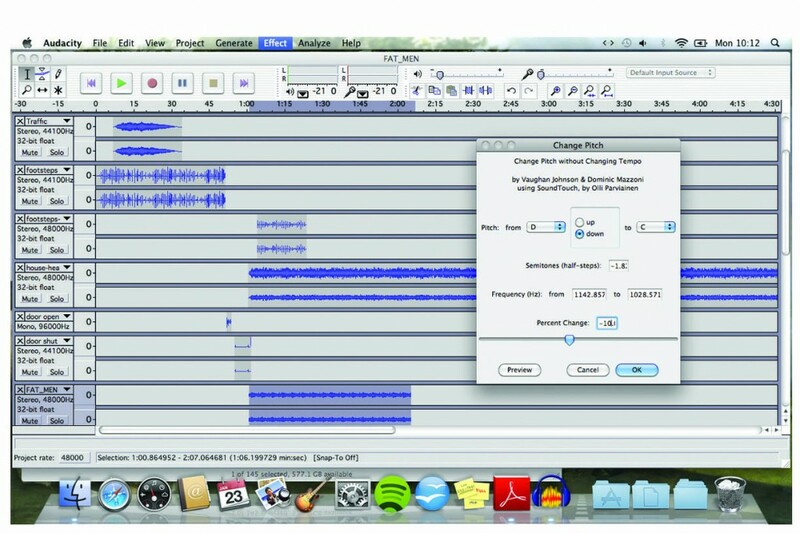 I used the open-source software ‘Audacity’ to edit and mix the audio tracks. 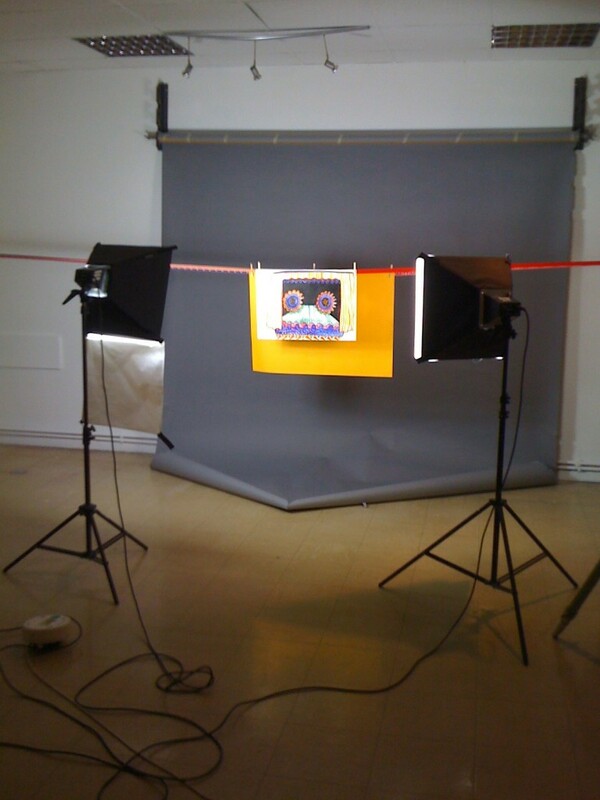 Production shot of P*A*St promotional video. 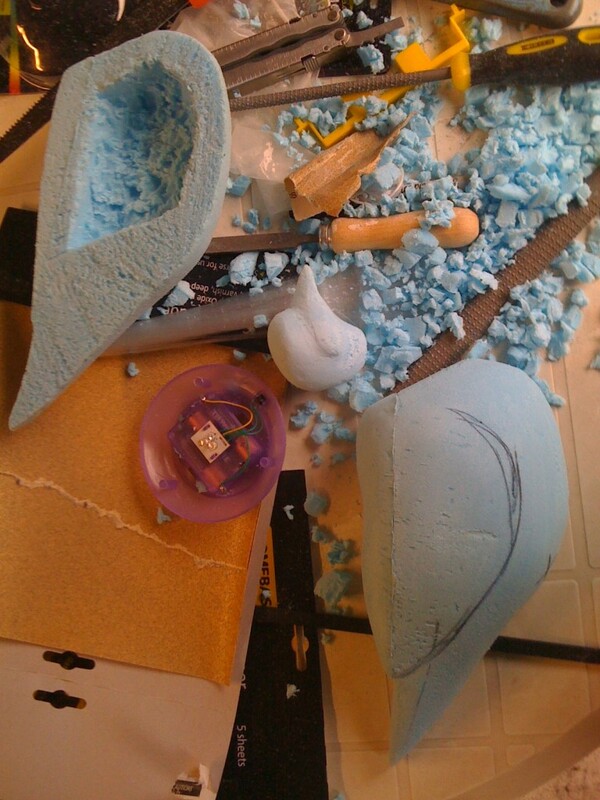 Pleasure Bird construction in foam. 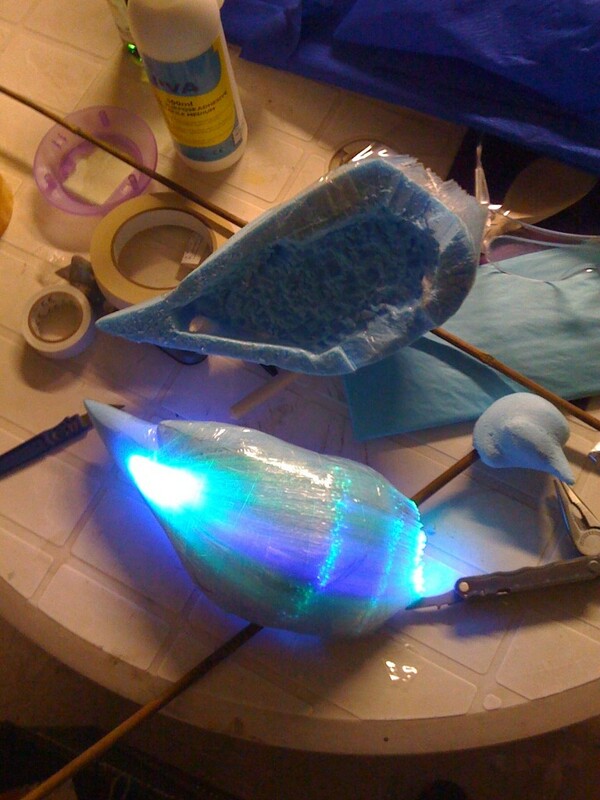 Pleasure Bird construction in foam, with fibre optic pulses. 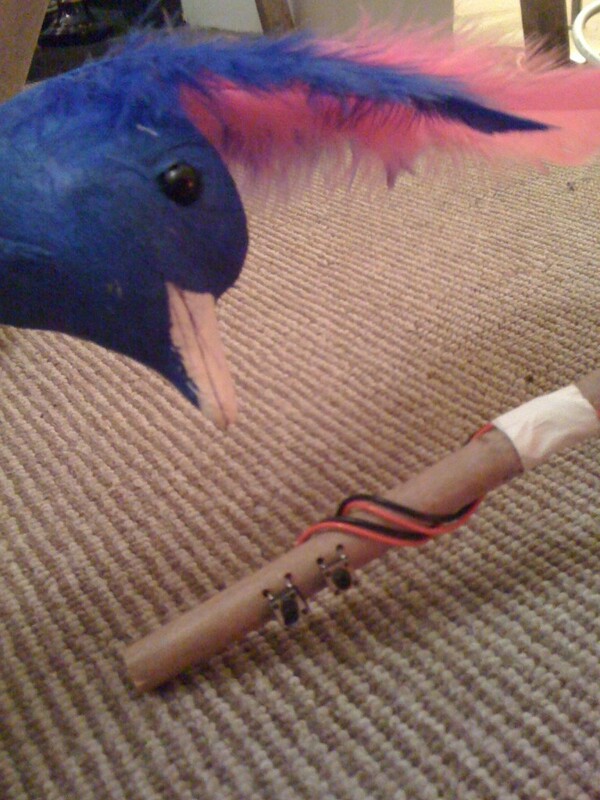 The Pleasure Bird examines it’s controls.